Our timeless, antique-inspired treasures are Designed and Artisan-Crafted in California with over 20 years of experience and a love of all things beautiful. 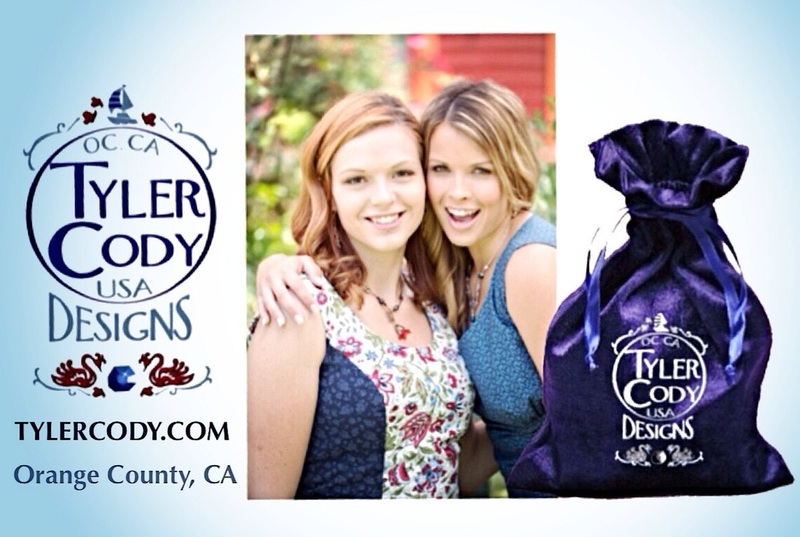 We are honored to have continuous compliments for our bestselling designs, and look forward to exceeding your expectations when you buy from Tyler Cody Designs. Our Antique-Replica Brass Stampings are made/plated in the U.S., made from 19th century molds and dies, found in places such as retired American Factories. One of our American-based suppliers is connected with a woman whose family owned a U.S. factory from the 1800's. This woman sold her family's retired dies to our supplier who recreates the most beautifully ornate period stampings using these dies. We are honored to keep the history alive, and hope your customers will find the beauty and magic in these artfully historic reproduction pieces. 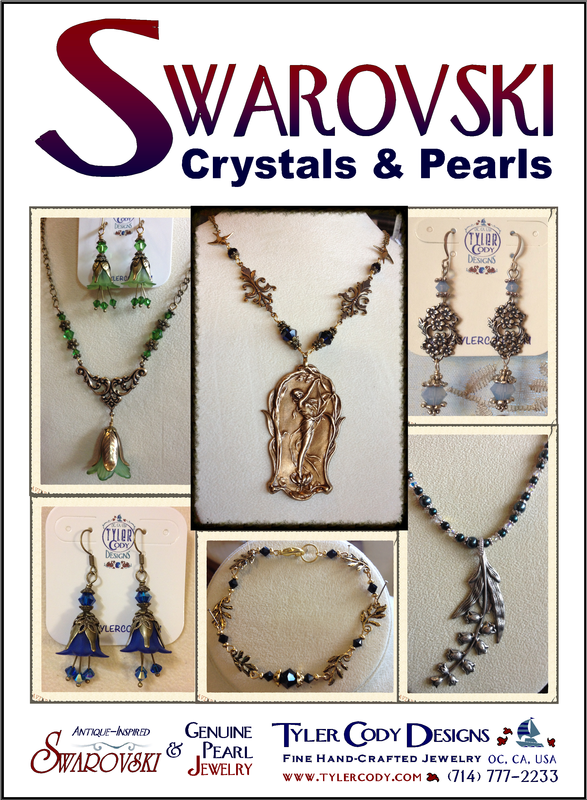 We take the extra time to create lasting jewelry by using professional findings such as Crimp Beads, Wire Guardians (which help the jewelry last countless years) & Crimp Covers (for a professionally finished appearance). Our fashionable collections feature Exquisite Beads and Pendants. All of our designs (over a certain price point) will arrive in high-quality gift box. We include Care Cards, and in our higher-end collections a brass logo-stamped jewelry tag in matching metal finish. 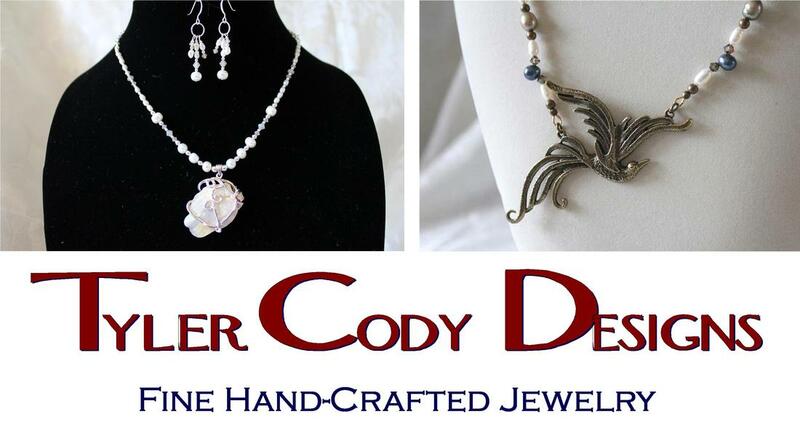 We are proud to offer the very lowest prices in hand-made jewelry without sacrificing quality or presentation. This sticker appears inside every gift box of jewelry that has Swarovski Crystals and/or Pearls, increasing the investment value and peace of mind for customers. 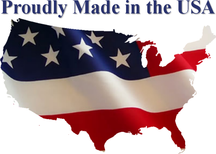 WE ARE PROUD to be committed to a MADE IN THE USA standard at all times. "I appreciate and am grateful to each and every Retailer with all of my heart. The Business Owners and Buyers I work with are visionaries, taking chances based on their beliefs and 'eye for design', just as I do when I create. It is because of their ability to see the grander vision that I am able to continue my passion for designing! I EMBRACE ALL feedback, taking every comment as an opportunity to excel. 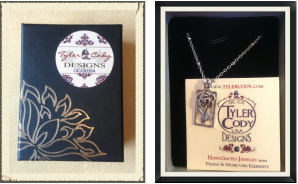 If you have any questions, comments, compliments or complaints, it would be the highlight of my day to hear from you, and helps Tyler Cody Designs continue to grow as a company."